Imagine a suspension system that allows a super-low stance, track-tuned handling and—at the push of a button—raised ground clearance for everyday driving. It sounds too good to be true, right? 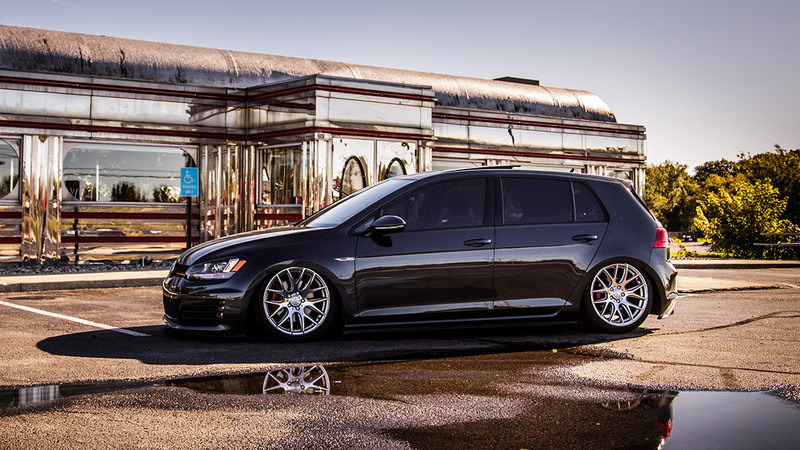 Welcome to the ultimate in adjustability from Air Lift Performance. This high-performance threaded body air suspension kit has been specifically designed for the new VW Golf MK7 models, giving you the ability to adjust the ride height even while on the move. At the touch of a button you can lower your VW up to 4.8-inches on the front and 5.8 inches on the rear axle! The result is a car that’s not only super-cool to look at, but also significantly improved suspension performance while maintaining total practicality on the street. 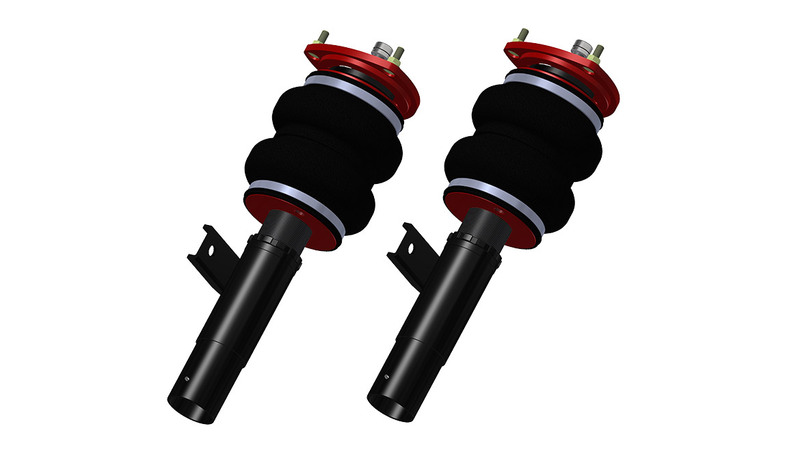 Air Lift has stepped up the air suspension game with their new threaded body, bag-over style air strut. 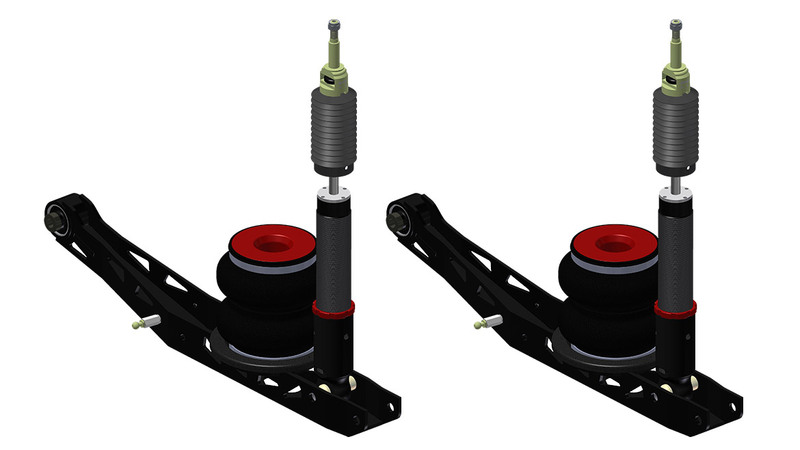 The monotube struts offer 30-way, on-car damping adjustment. This allows you to change the damper settings from soft to stiff performance with just the convenient twist of the damping adjuster. Furthermore, each strut features a threaded body allowing you to perfectly setup the vehicle by changing the position of the lower mount on the strut. For the rear, Air Lift Performance has employed the use of double-bellows bags with unique control arms; these are CNC laser-cut and robot-welded for dimensional accuracy, then protected with a gloss black powder coat. Nobody else in the game offers a more complete kit! Couple Air Lift’s smooth-riding bag system with the ingenious damping set-up, and the result is nothing short of incredible. Installation is simple with Air Lift Performance’s detailed instruction manuals. Anyone with the skill to wire a stereo and swap suspension components can have their car on the ground in a matter of hours. Only basic hand tools are necessary to complete the job. Keep this in mind: if you are looking for the ultimate low look, then some frame modifications and fabrication skill will be required. The application for the MK7 comes in a complete digital combo kit with AutoPilot V2 control system, manual combo kits, and also has kit options without rear shocks. 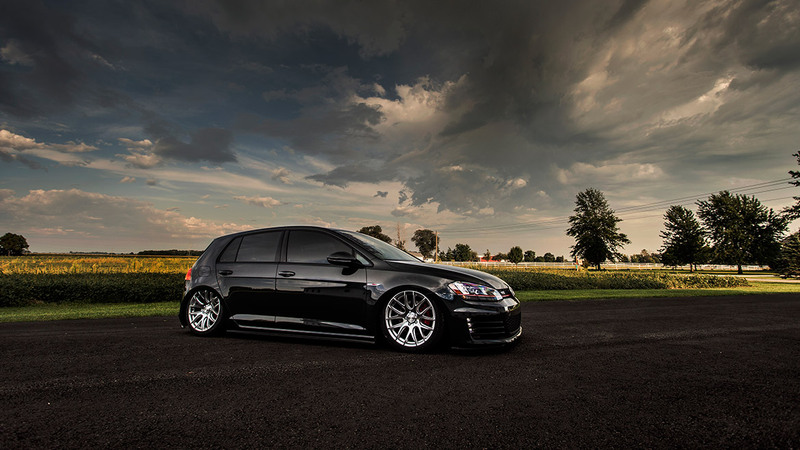 To find out more about the Air Lift Performance threaded body kit, click here.